An internal experts committee has been set up by the Union Ministry of Electronics and Information Technology (MeITY) to advise the government on a policy on artificial intelligence (AI). The expert committee will advise the IT ministry on the most apt technologies for India as government’s main focus is to reduce cyber-attacks with AI. Its recommendations will be used to frame the policy. According to new study published in medical journal The Lancet, India has topped list of countries with pollution-related deaths in 2015. In India, 2.51 million people died prematurely in 2015 due to diseases linked to air, water and other forms of pollution. Of the 2.51 million deaths in India, 1.81 million were related to air pollution, 0.64 million to water pollution, 0.17 million to occupational exposure and 95,000 linked to lead pollution. The IBSA Trust Fund Agreement has been signed by India, Brazil and South Africa. It seeks to fight poverty in developing countries. It was signed at the 8th IBSA trilateral Ministerial Commission Meeting in Durban, South Africa. The first tri-service armed Forces (Army, Navy, & Air Force) exercise INDRA 2017 between India and Russia began at the 249th Combined Army Range Sergeevisky and in Sea of Japan near Vladivostok. It is overall 10th edition of INDRA exercise and India’s first bilateral military exercise with any country involving all three services. The Jaipur and Srinagar Airport were ranked first and seco nd respectively in ACI (Airports Council International)-ASQ (Airport Service Quality) Survey in the category of 2-5 million passengers . 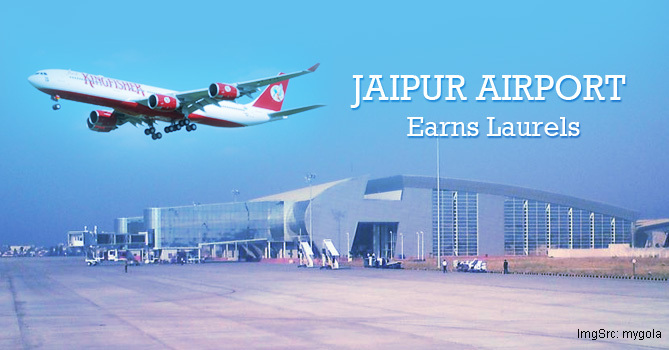 Jaipur bagged the same ranking for the second consecutive time. Hyderabad’s Rajiv Gandhi International Airport (RGIA) bagged World 1 airport Award trophy of the ACI in the 5-15 million passengers per annum category. The National Highways Authority of India (NHAI) will soon get powers to approve highway projects with construction cost of more than Rs 1,000 crore to ensure faster implementation of Bharatmala programme. The programme, along with the proposal to enhance powers of NHAI will soon get Cabinet clearance soon.